I was dumbfounded to read about the organizing gaffe at the 2012 Manchester GreatCity Games. Jessica Ennis, the poster girl of Britain’s Olympic campaign, had just run a personal best in the 100m hurdles – albeit over nine flights of hurdles, instead of ten. Naturally, Ennis was “annoyed.” The diminutive heptathlete had beaten the 2008 Olympic champion Dawn Harper and 2011 World Championships silver medalist Danielle Carruthers. Things could have been much worse for Ennis and the rest of the hurdling ladies in Manchester. The race organizers could have set some of the hurdles closer than the standard marks, like what happened at a regional track meet in Anchorage, Alaska. The sprint hurdles is all about rhythm, speed and constant repetition. Hurdlers take three steps in between barriers as fast as possible. Once the barriers are moved closer (or farther) – unbeknownst to the athletes – a hurdles crash is a certainty. The boys in Anchorage were fortunate to finish the race without any bones. In hindsight, Ennis et. al were much more fortunate than the lads in that Anchorage race. 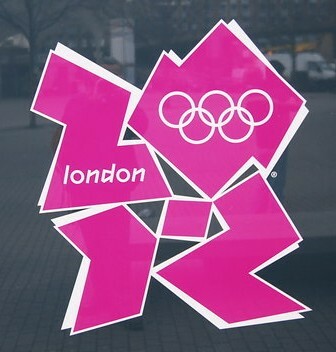 With the London Olympics barely three months away, the Manchester mix-up is a black eye for the novel street-racing event. Isabelle Pedersen is a fast-rising athletics talent from Norway. At such a young age, Pedersen has won several major age-group titles, the most notable of which are the World Youth and World Junior crowns in the 100m hurdles. 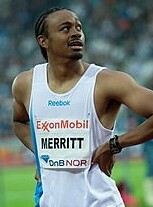 In 2009, the Norwegian edged out two American athletes to win the U18 100m hurdles (0.765m) gold, stopping the clock in 13.23s. In Moncton the following year, and competing against older, U20 athletes this time, the compact sprint hurdler again won gold. Her time of 13.30s over the 0.838m barriers was a national junior record. In the women’s event where the barriers are lower, speedsters tend to get away with glaring technical flaws, relying more on their flat out speed than hurdling form. 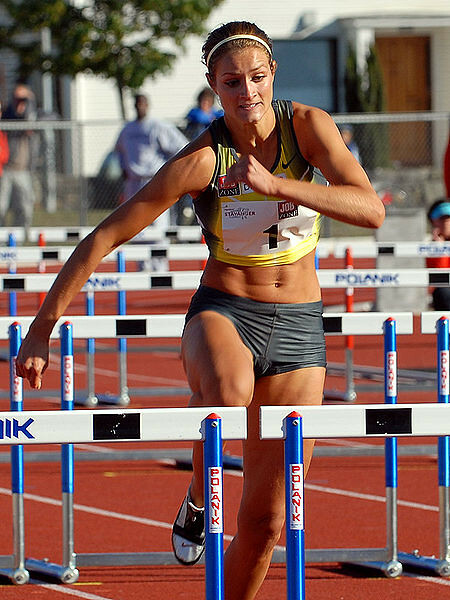 At such as young age, the Pedersen has developed a fundamentally-sound hurdling technique, comparable to her older compatriot, Christina Vukicevic. To date, Pedersen’s personal best stands at 13.21s – a national junior record and six-hundredths of a second off the Daegu World Championships standard. Her ebullient personality on the track and the sheer enjoyment she exudes in her races highlight Pedersen’s love for the event. She is every inch the happy hurdler – and happy hurdlers, epitomized by Liu Xiang himself (and most recently, Pascal Martinot-Lagarde) are formidable competitors. As the World Youth and World Junior Champion matures physically and psychologically, the prospects of success in the senior ranks look bright. When I was younger my mom thought I had ADHD, but it turned out I was just a girl with a lot of energy. Doing sports was therefore an easy choice. My first meeting with athletics was at the age of ten. I walked by some teenagers training and I was fascinated by the sport. I remember I asked my mom what kind of sport they were doing and she told me it was the same sport she did when she was younger. Since that day I knew athletics was the sport for me as well. When I discovered that I have won the final [of the 2010] World junior championships. The last thing I remembered was the starting point, the rest [was] just black. I had a dream to defend the gold medal from youth world championships the year before, but [I] never thought I’d make it. I was number 15 on the list before the championships started. I´m living it now, I’m living out my dream everyday. Track, hurdles [are] my passions. And the dream of everyone else, [to] become as good as possible. Hehe, tights is the thing I guess. Tricky… both are greats shows! Why choose when you can have both? I have a new list every season, and there a no favorites, they are all part of the warm up. I haven´t raveled much to the big cities of Europe, but Paris has inspired me a lot. Would like to live in a city that inspires me as much as Paris to my last breath. Maybe I will movie back to my home town Bergen, I haven´t planned it yet! 10. Who’s your athletics role model/idol? I don’t have one. I’ve always just done it because it’s fun. Haha. But Susanna Kallur is a great hurdler. South Korea won another gold medal, this time on the track. Lee Yeon-kyung 이연경 (13.23s) held on to first place, edging out Natalya Ivoninskaya (13.24s) of Central Asian powerhouse, Kazakhstan. Fast-finishing Sun Yawei was three-hundredths of a second behind the Kazakh, hanging on to bronze. The promising Japanese Asuka Terada 寺田　明日香 faded in the last three barriers and clipped the 10th hurdle, stumbling towards the tape in fifth place (13.29s). It was an exciting race, despite the relatively modest time. Rena Joshita 城下 麗奈 ran 13.48s in the semis, but opted not to compete in the finals, probably because of her fall in the qualifying rounds. Christina Vukicevic (Љубица Кристина Вукићевић) is this week’s Track Beauty! 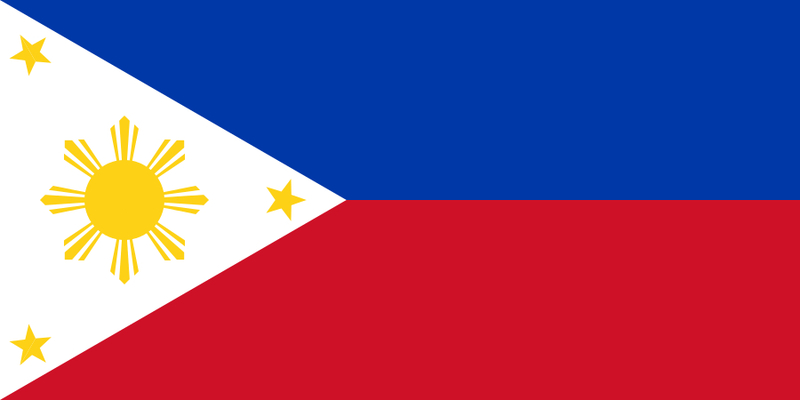 As a junior, Christina won silver medals at the European and World Junior Championships. She also topped the European U-23 Championships in 2009. The then 20-year Vukicevic made her major championship debut at the Osaka World Championships. The Norwegian did not progress beyond qualifying, but clocked a then personal best of 13.07s. The young Vukicevic had the makings of a championship performer, it seemed, as she shaved off two-hundredths of a second from her erstwhile lifetime best at the Beijing Olympics. Although she fared a little better at her heat (4th place), the Norwegian still did not progress to the next round. A year later at the Berlin World Championships, Christina made it as far as the semifinals, where she clocked yet another personal best! At the 2010 European Championships in Barcelona, the Norwegian record holder missed out on a podium finish, as she finished in fourth place. The hurdler clocked a competitive 12.78s, four-hundredths of a second from her lifetime best of 12.74s. Christina finally won her first major championship medal as a senior at the European Indoor Championships in Paris. She set a new Norwegian record of 7.83s in the 60m hurdles. Both athletes are without a doubt, certified track beauties and top calibre sprint hurdlers. In a hurdles race, however, my money’s on Kallur. On paper, Lolo Jones has the better 100m hurdles time (12.43s). Susanna Kallur is five hundredths of a seconds slower at 12.49s. The roles are reversed in the shorter, indoor distance (60m hurdles), with the Swede owning the current world indoor record of 7.68s. I don’t like Jones’ tense disposition during the race. She grunts and grimaces with each clearance. In fact, Tyson Gay pointed out Lolo’s Sharapova-like grunt in a SpikesMag interview. Also, the 2008 World Indoor Champion’s trail arm hangs much too far from her body. Lolo’s hurdling style borders on the wild side; hence, she’s susceptible to race-ending errors like her unfortunate fall in the 2008 Beijing Olympics. Lolo makes up for this slight facial dis-figuration with her post-race million dollar smile! Kallur, in contrast, is a much better technician. How her lead arm draws a wide “C” – much like a graceful, sabre slash – is a fine example of textbook hurdling. The way her trail leg squares over those hurdles is just perfect. Sanna is also a prolific sprinter, being a consistent member of Sweden’s 4x100m relay squad. 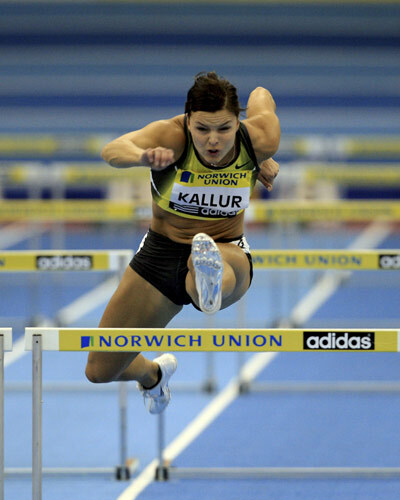 This potent combination of form and power makes Kallur one formidable hurdler. 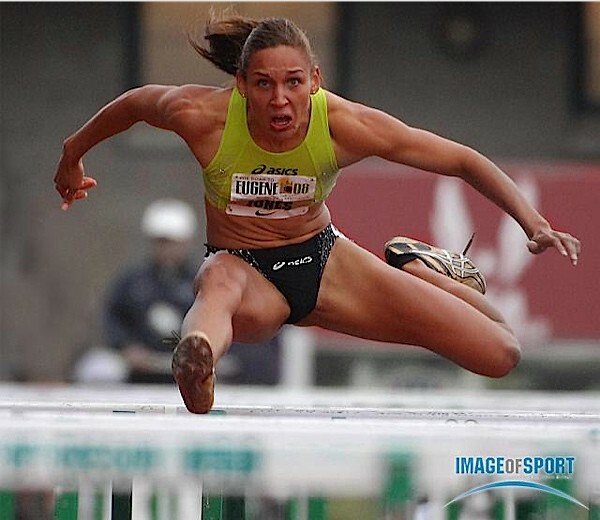 Jones has a fine hurdling form too (she wouldn’t be World Indoor Champion if she has crappy form), albeit not as graceful to watch as Kallur because of the former’s grimace and tense demeanor. A healthy Kallur and a consistent Jones in one race? Now that’s a must see. Lolo Jones is this weeks track beauty! Lolo has both the looks and the killer speed. She has had her fair share of life’s down moments (Lolo once lived in a church basement). 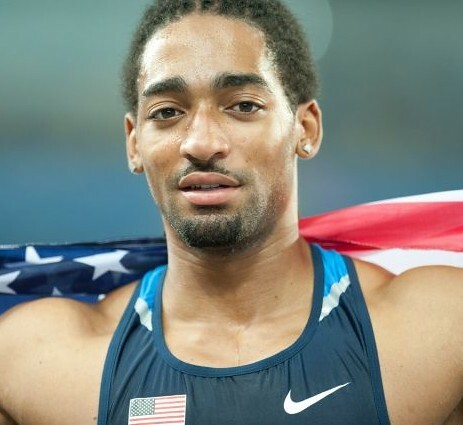 Jones lived with four different families in high school and juggled school with track training and part-time work. Even at the pinnacle of sprint hurdling, disappointment reared its ugly head once again. At the 2008 Beijing Olympics, Jones badly clipped a hurdle coming into the last few meters of the 100m hurdles final, causing her to drop from first to seventh place – losing the Olympic gold. After the botched Olympic final, she faced the post-race cameras like a true professional athlete. Afterwards, shots of a despondent Jones crying her heart out were shown on air. She bounced back two years later, topping the 2010 Doha World Indoor Championships in stellar fashion. Jones is one of the most colorful figures in the athletics scene, with her witty tweets passionate demeanor on the track. She exudes so much energy that its infectious, endearing herself to the fans.